Pitchfork reports that the critically acclaimed rapper, Logic, has released a new song “44 More”. The hard-hitting new track is Logic’s first new work since the release of his third studio album Everybody in the Spring of last year. The rapper’s latest album was debuted at number one on the US Billboard 200 chart, and marked a new begging for Logic. 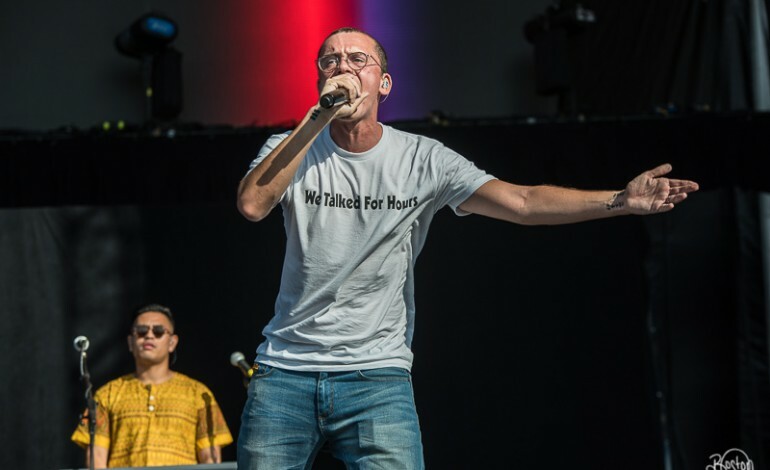 The album features one of Logic’s most successful, and influential tracks “1-800-273-8255”. The song features the Canadian singer Alessia Cara, and the prominent R&B singer Khalid. “1-800-273-8255” relates the “the perspective of someone who is calling the hotline and they want to commit suicide. They want to kill themselves. They want to end their life.” Logic reflects. The song was later nominated for Song of the Year and Best Music Video at the 60th Annual Grammy Awards in 2018. Logic in a spectacular performance of the “1-800-273-8255” at Grammy Awards, spoke out about his support for “shithole” countries and the Time’s Up movement. The 28 years-old Sir Robert Bryson “Bobby” Hall II, better known as Logic, has released 3 studio albums to date. His collaboration with Wiz Khalifa, Lil Wayne, and Imagine Dragons in 2016, resulted in the award-winning song “Sucker for The Pain” for the movie Suicide Squad.